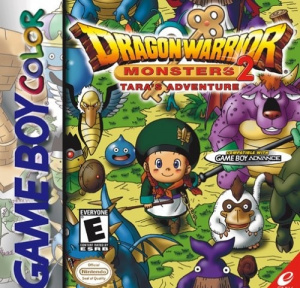 One recent sales success for Square Enix on 3DS, in Japan in any case, was Dragon Quest Monsters: Terry's Wonderland 3D, a re-make of 1998 Game Boy Color title Dragon Warrior Monsters. Any thought of the title coming West, however, has somewhat faded with each passing month. Still, the Japanese sales of that remake appear to be encouraging Square Enix to strike while the iron's hot, with a Japanese blog site apparently uncovering a trademark for "Iru to Ruka no Fushigi na Fushigi na Kagi", which translates to "Iru and Luca's Wonderful Mysterious Keys." 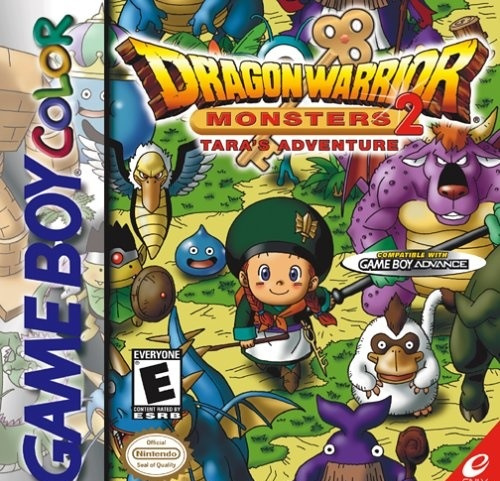 Iru and Luca were the lead characters in Dragon Warrior Monster 2 in Japan, each with their own version of the game, Pokémon-style. Just like the original title there were some changes when it came to the West, with the heroes being called Tara and Cobi in their respective releases. When originally released on the Game Boy Color it was possible to trade collectible monsters using a link cable — this trademark suggests one title to incorporate the content from both games. Considering the ongoing absence of Dragon Quest Monsters: Terry's Wonderland 3D here in the West, a pessimist's view may be to suspect that this remake will be Japan only. Assuming we're optimistic enough to think both these releases could come West, would you be interested in picking up both of these Game Boy Color classics as 3DS remakes? That would be cool. Let's hope if its true, it comes to the US! The more DQ the better! I have heard good things about the Dragon Quest Monster series so I wouldn't mind if it came to the west. this is the exact reason dragon quest games dont come to he virtual console is because squaresoft will remake them all ... and rather sell a 5 dollar game for 50 bucks ..
Graaaah! Come on, Nintendo America, we still haven't gotten the LAST 2 Dragon Quest remake games. Step it up! 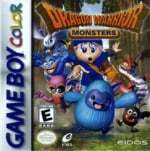 I sure would love this, the first Dragon Warrior Monsters remake, and DQVII on my 3DS here in the US.. I hope we, at the very least, get DQVII in all Western markets. EU needs some love as well! Yes! I loved this game! I used to play it all the time. I still have my original copy. @JogurtTheYogurt Except they haven't bought the last couple of remakes to the US or EU If it's really too much of a problem for them to localise the remakes, I don't know why they don't just sell the remakes in Japan but put the already localised original games on the US/EU Virtual Console to make more money from the rest of us. I used to own this on GBC. Freakin awesome game. Any Content like this brought to the west is always a welcome sight especially to RPG fans. Bing it on Square! Your late to the party! A REMAKE OF ONE OF MY FAVOURITE GAMES OF ALL TIME? Squeenix I swear if you don't bring this to us I will die a little inside . It's bad enough you haven't localised any of the three Dragon Quest games you've released for 3DS but this is just cruel. Even if we don't get this I recommend everyone hunt down the GBC version - those games were without a doubt the best on the GBC (Pokémon Crystal possible exception). Fantastic game. I would be happy with a direct port of the GBC game on the 3ds VC eshop. Duuude, I remember that game! I liked it a lot, but I never could beat it. By the time I'd bred what I wanted I couldn't even compete in the last area because I didn't want to take the time to grind all my stuff up. I had the best dragon monster, too! i miss this game.... Like all DQM / Pokemon games, the pacing mid-game killed me (collection games always do this, even the lauded DQ 5), but it's one of the best monster collectors around. Slick music as I recall as well. @SwerdMurd - You're right on about the music. So good they tend to reuse a lot of the great tracks for the later DQM games. Square-Enix has made it clear that localizing any game other than Final Fantasy or one of their several failed IPs is not their priority. At this point, it's up to NOA and NOE to make it happen. I'd rather have another Rocket Slime. This is easily one of my favorite GBC games, still have the original but this would be a day-1 buy if it were localized. Well, heres hoping it sees the light of day outside Japan. Since the original DQM games were compatible with one another it'd be neat if they did that with the remakes, but I doubt they would. OH WOW, another Dragon Quest remake! I was looking forward! Hey guys, I really want to try to get Dragon Quest Monsters: Terry no Wonderland and Dragon Quest Monsters: Iru and Luca's Wonderful Mysterious Keys to be released in the West so I made a petition on change.org and I'm hoping that some of you will sign it. Thank you!